Chimpanzees who spend their formative years away from mom - which is what happens when they are raised as pets or entertainers - act abnormally even decades after separation. Until about age seven, wild chimpanzees are inseparable from their mothers. These first few years are a critical time for young chimps to learn from older relatives and gain insight into everything from tool use to grooming skills. But chimpanzees raised among humans, rather than other chimps, spend less time grooming each other, according to a recent study in the journal PeerJ. And the importance of chimp grooming cannot be understated. It's "the glue of their society," says animal behavior expert Steven Ross, an author of the study, to the Dodo. Ross, a chimpanzee conservationist at Lincoln Park Zoo in Chicago, is the director of a program called Project ChimpCARE, which began in 2008. It's a response to "more and more calls from private owners" who were looking to place chimpanzees in zoos, he says. Although chimpanzees are an endangered species, it's legal to privately own the animal in several states. There are roughly 200 chimps in private hands in the United States - that is, apes raised as pets, for entertainment, or living in small roadside zoos. To see how these animals fared after being returned to a more natural social structure in a zoo or sanctuary, Ross and his colleague Hani Freeman made detailed observations of 60 chimpanzees across the U.S. These chimpanzees varied widely in the way they were raised in their first four years. On one end of the spectrum, the scientists observed chimps who had been reared by their mothers in more natural natal groups. And at the other end, a few chimpanzees had what Ross called an "atypical early history," consisting mainly of the humans who raised them as pets. By the time Ross and Freeman observed the chimpanzees, from 2011 to 2012, the chimps had spent, on average, nine years in a zoo or sanctuary. That some of these chimps still showed abnormal behaviors - less time grooming and decreased instances of sexual behavior - so many years later was surprising, Ross says. That's not to say private owners don't feel love toward their pet chimps, Ross says - they "simply don't have the resources to care for chimpanzees." 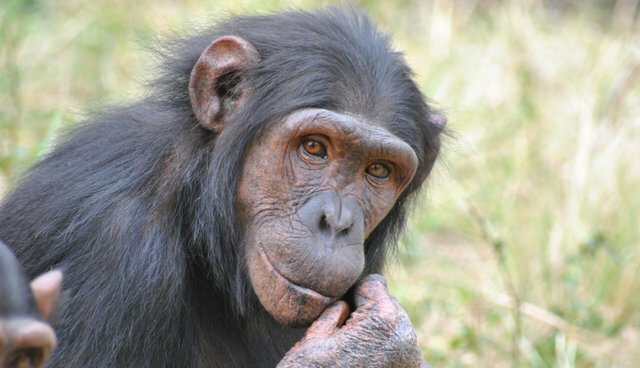 Lacking the complex and dynamic social structure that leads to healthy adult chimps, "it's becoming pretty hard to defend" treating these great apes as pets.